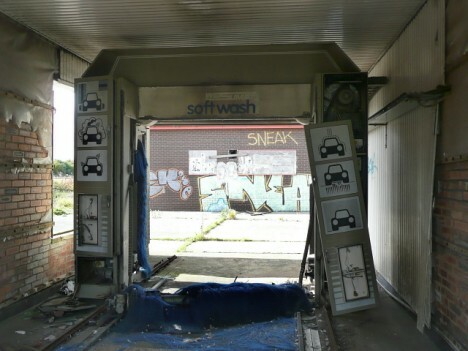 Abandoned car washes are oddly abundant – you’d think they invented the self-cleaning car! Here are 12 more car-less washes left high, dry and brushed-off. 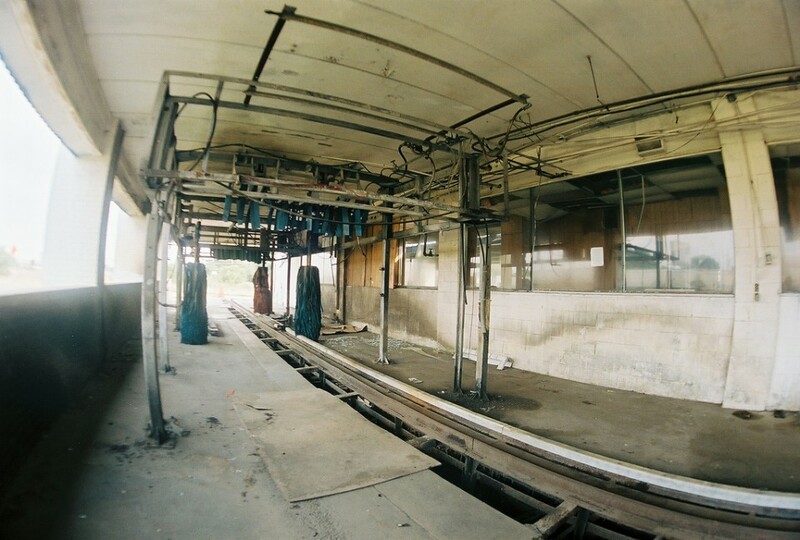 This opening quartet of images depict a VERY dry-looking abandoned car wash located on Hempstead Rd. – that’s all Flickr user Edna J Sandoval is stating and that’s fine with us. Why give vandals, graffiti-artists and possibly even arsonists (more on that later) a gift-wrapped invitation to destroy somebody else’s property? 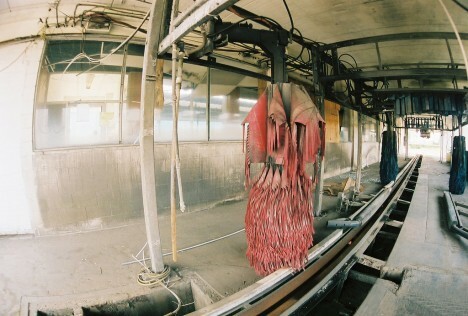 Sandoval snapped a dozen choice views of the unnamed car wash on May 9th of 2011. 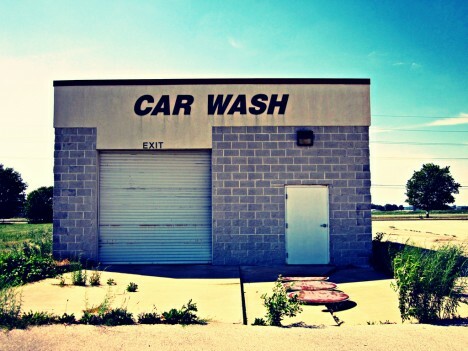 Flickr user Wayne Wilkinson (wayne’s eye view) applied some freaky faux-lomography processing to this photo of an lonely abandoned car wash taken in June of 2012. 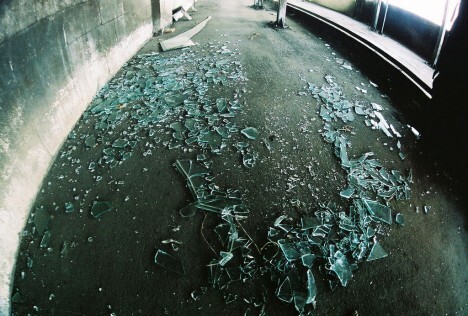 While many photos of abandoned buildings and businesses stand on their own when it comes to evoking a certain atmosphere, skillful image processing can enhance the emotional content to near-palpable levels. 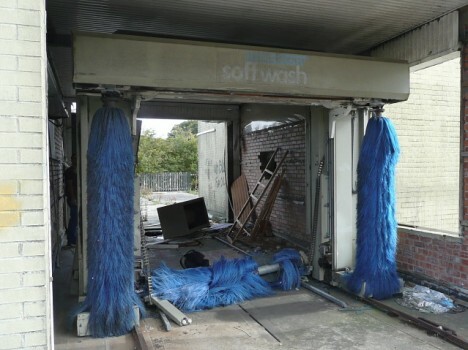 At least no wildlife was made to suffer when operators of a Mobil/BP petrol station near the Bramham Crossroads, North Yorkshire, UK decided to close and abandon its Wesumat Soft Wash W86.1 car wash system. 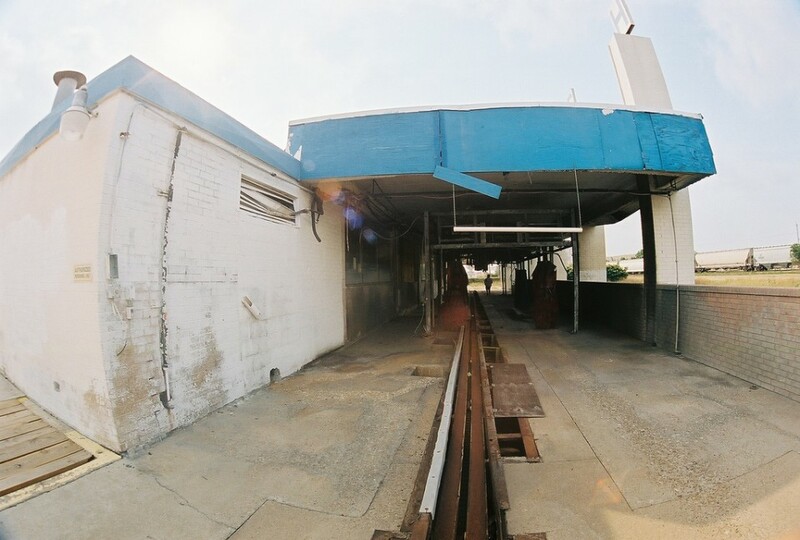 Credit Flickr user AquaValet with this pair of strikingly gloomy yet inexplicably beautiful images of the car wash as it looked on October 1st of 2009. “The petrol station is in a fairly rural location and not fenced off at all,” explains AquaValet. “Inside the actual wash bay I had to be careful not to fall down the sludge pit, which was full of nasty fluids.” BP… bringing you nasty fluids since 1908. Lone Star Auto on Broadway St. in San Antonio, TX has been abandoned since December of 2009 according to The Sample Spoon. 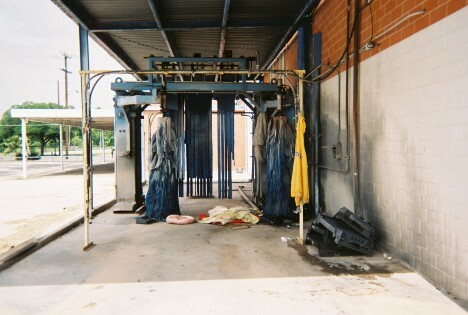 In the above image taken in mid-April of 2012, it can be seen that some life does stir amid the stilled brushes and congealed wax at the ex-business’s car wash as local homeless folks have taken advantage of the structure’s protective overhang and plentiful hooks and shelves. Kiss Lid: Do You Love Coffee Enough to Make Out With It?